Find the biggest number ABCDEFG. 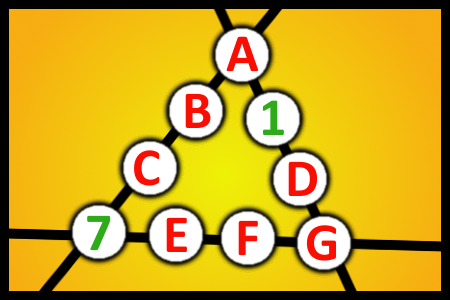 It is necessary to replace letters with digits so that the sum of the sides of a triangle is always the same. Each of the digits may be used only once. The first user who solved this task is Slobodan Strelac.